Eight coaches, and the same number of driving cabs! 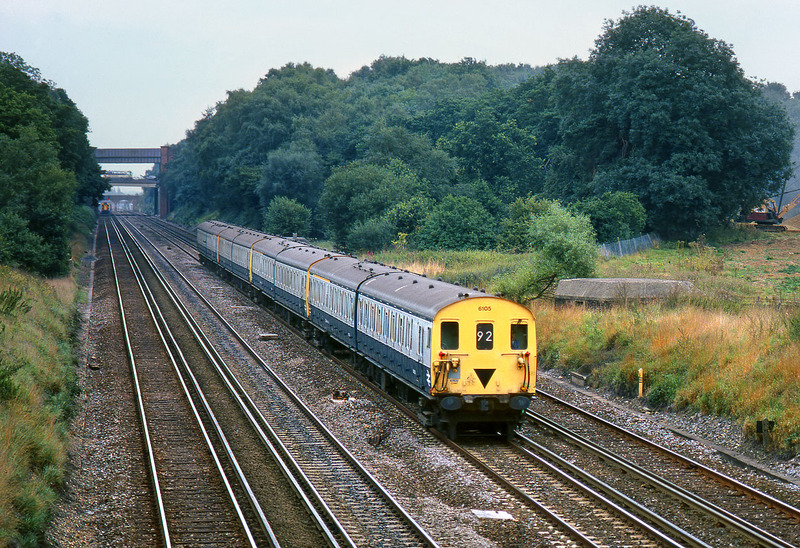 Class 414 2-HAP 6105 leads three of its classmates past Potbridge on 13 September 1986 with the 10:00 Waterloo to Lymington Pier Network SouthEast service. I have got very few pictures of the 2-HAP units, and certainly not in a train of this length. The train is passing a Second World War pillbox, one of a number in the area. These formed a defensive 'stop line' that would be used as a last resort if the Germans had invaded.